Comodo A-VSMART Warranty ($79/ year) Provides a "No Worry", Industry Leading Guarantee* - PCs Protected with Comodo A-VSMART Technology Will Free Users From Worrying About Cleaning Malware from their PCs. JERSEY CITY, NJ February 20, 2008 - Comodo, a leading security company, today announced an unmatched innovation in the PC Security market - A-VSMART Warranty. This paid warranty program gives end users unprecedented reassurance that any PC protected with A-VSMART technology (as in the latest version of Comodo Firewall Pro) will remain malware-free or a Comodo technical expert will remove it. Only Comodo offers this type of warranty with a "No Worry" Guarantee* because A-VSMART technology delivers "anti - virus, spyware, malware, adware, rootkit and trojan" protection utilizing a proactive and preventative model that allows only trusted applications access to a computer system. Today, consumers spend over $5 Billion on anti-virus and/ or firewall solutions to keep computers safe from viruses, malware and Trojans. Most other anti-virus solutions operate on a detection-based model - allowing all applications access to a computer to then be evaluated based on their "signature". This model is especially flawed in protecting PCs from Zero Day attacks - attacks from new viruses, spyware, and trojans that do not have an identifying "signature". Therefore, while security companies sell AV or security solutions for $40 or more that fail at least 50% of the time, (according to Australian Computer Emergency Response Team - AusCERT) and then charge again about $100 "per incident" to have their systems cleaned, the net result is that end users can spend hundreds per year to maintain a clean PC. Comodo's revolutionary approach using A-VSMART technology includes Comodo's free Firewall Pro with A-VSMART technology platform to protect PCs from malware over 90% of the time and A-VSMART Warranty freeing users from worrying about the time, cost, frustration, and risk of ever dealing with a malware-infected PC again. Both offers are meant to work together to save users money and, more importantly, worries that their PCs and personal identity security are at risk. This new approach puts accountability back into the security industry because Comodo Firewall Pro's free prevention-based approach delivers high performance anti-malware protection while A-VSMART Warranty is a customer selected added layer of reassurance that Comodo offers users who would want extra support "just in case". No other security vendor offers this type of "No Worry" warranty for the PC because competitive anti-virus or firewall solutions do not provide this same high level of protection against malware penetrating a system in the first place. 1. 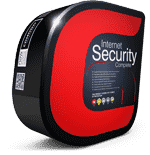 Comodo FREE Comodo Firewall Pro, with A-VSMART Technology - an award-winning "Anti-virus, spyware, malware, adware, rootkit and trojan" security solution. Comodo Firewall Pro with A-VSMART technology delivers the combined, effective, preventative protection of both an anti-virus and a firewall - for free. Comodo Firewall Pro garnered an editor's choice from PC Magazine and the highest 5-star rating from CNET because it does a better job of protecting computers from malware than conventional, detection-based solutions. 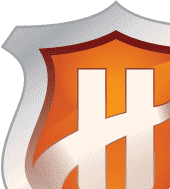 The feature list of Comodo Firewall Pro is designed to integrate advanced technologies with a full set of features designed to optimize usability, enhance functionality, and enable a high level of user configurability. 2. 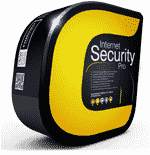 Comodo A-VSMART Warranty - the best "No Worry" Warranty on market today. Comodo A-VSMART Warranty, at a cost of $79 per year, is a breakthrough in the industry because Comodo gives users a "No Worry" guarantee protecting users from having to clean malware from their systems while covered under the warranty. A-VSMART Warranty provides peace of mind for those users who want more support and expert assistance in managing the complexity of removing Virus, Spyware, Malware, Rootkit or Trojan (known collectively as malware) from their computer. This cost is highly competitive with typical "per incident" fees which can be $100 or more (not to mention the $40 cost of the AV software). Comodo also offers a $119 premium version of the warranty that includes expert PC system cleaning and professional installation of Comodo Firewall Pro in addition to the malware-related incident services. Most important, Comodo technicians are available 24/7 for remote support, ensuring your personal information is not compromised or lost. This level of support is unavailable from even the largest security companies in the market today and can easily save end-users hundreds of dollars per year in software and repair costs.
" We are one of the first desktop security companies that has put itself between its users and malware ", said Melih Abdulhayoglu, CEO and Chief Security Architect of Comodo. " Our A-VSMART technology puts us in a position to drive accountability back into the security category because our A-VSMART Warranty is only cost effective if our users' systems are well protected from malware with our A-VSMART technology in our firewall solutions. 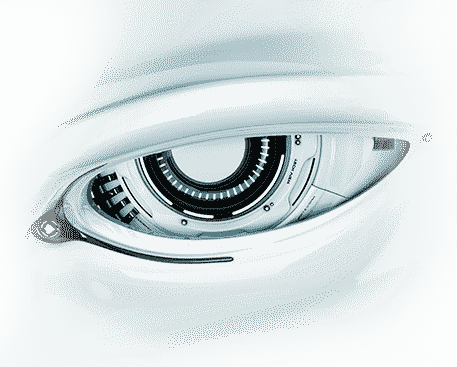 End users deserve accountability and Comodo is the one to deliver it with A-VSMART Warranty ." Today, over 100 million people associate Comodo with security because of the performance, reputation and reliability of Comodo security products and services. This brand recognition is driven by Comodo's proprietary, preventative development orientation that delivers a more comprehensive, unprecedented approach to malware free PCs. With a global presence Comodo offers businesses and consumers third-generation solutions for intelligent security and authentication technologies that create trust online. Comodo's technological expertise includes PKI digital certification, Code signing certification , integrated authentication infrastructure services, Web Content authentication, Secure messaging solutions , PCI compliancy scanning , SSL digital certificates including our flagship InstantSSL brand, HackerGuardian , Banking solutions including Two Factor Authentication, and digital e-commerce services.